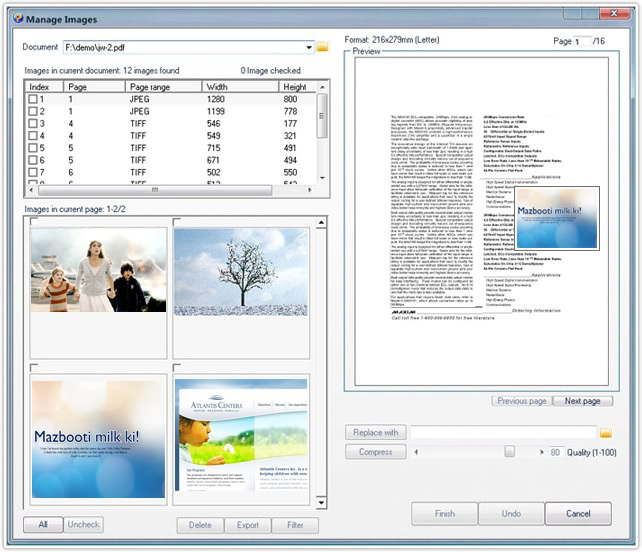 The "Manage Images" tool of PDFCool Studio allows the user to modify and replace images in PDF documents. With this tool, the user can deal with multiple selected images in batches. Click on the Export button, you can export the selected images to local files. 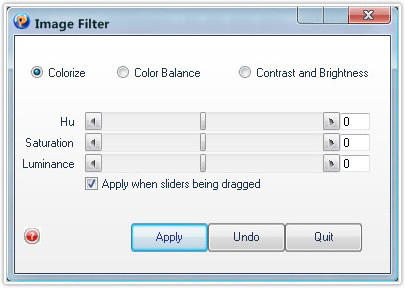 Apply image filters -- Click "Filter" button to open the "Image Filter" dialog. Drag the relevant sliders of Colorize, Color Balance and Contrast and Brightness to set the images¡¯ filter effects. 5. Click on the Finish button to finish image managing.